Shinedown spent much of last year on tour with Godsmack, out in support of their latest studio album, 2018’s “ATTENTION ATTENTION.” Now, Brent Smith and company have announced a new round of summer tour dates, which will see the guys headlining amphitheaters beginning June 21 in The Woodlands, Texas, and running through a July 27 date in Ridgefield, Virginia. Badflower, Dinosaur Pile-Up and Broken Hands will open for Shinedown on the tour, which is being produced by Live Nation. General on-sale begins at 10 a.m. local time on Friday (Feb. 8), which a variety of Citi pre-sale options available. For information on tickets, head to www.shinedown.com. Before the North American dates, Shinedown will set off on their “ATTENTION ATTENTION” World Tour starting with a Feb. 20 show in Estero, Florida, at Hertz Arena, with Papa Roach and Asking Alexandria. The tour promises to have the guys “backed by their biggest, most eye-popping production yet,” according to a press release. Amid the blockbuster tour dates, Shinedown also has a handful of intimate “An Evening With Shinedown” tour dates, which offer an up-close-and-personal live experience. 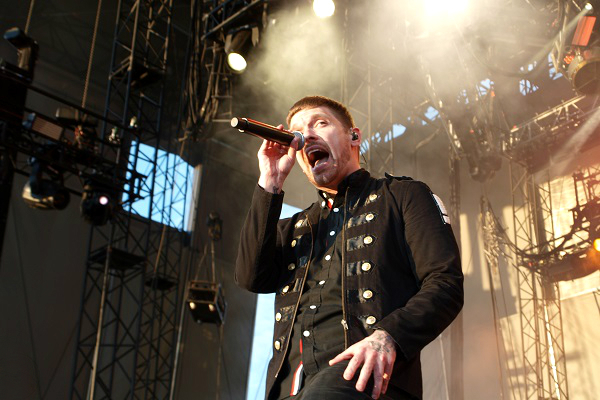 As for festivals, Shinedown is scheduled to perform at a number of rock and metal fests, including Welcome to Rockville, WNOR Lunatic Luau, MMRBQ , Rocklahoma and Inkarceration Festival. Find the newly-announced roster of Shinedown dates below. For full 2019 show information, visit www.shinedown.com.